Many words can be and will be spoken about the career of Mariano Rivera. But one thing that can never be debated is that he is the first man in history to be welcomed to the Hall of Fame with 100% of the vote. Never before has this been done, and it is a true testament to the man and the game that he is the first to do so. Rivera was not only an exceptional player, but he was and still is an even better man that embodies the spirit of the game itself. The fact that he’s the first to achieve this mark speaks volumes as the voters, at least a very small minority, have never felt anyone was good enough to do that. There was always something wrong. Not this year, not with Rivera. Joining him in the class of 2019 are fellow pitchers Mike Mussina and the late Roy Halladay. Joining them is former Seattle Mariner DH Edgar Martinez, the first to make the Hall that played that position almost exclusively. It says a lot about where the game has come that a DH and a closer are in, and it says even more than the first unanimous vote belongs to a closer. The Sand Man. #42. According to sources around the NBA, it looks like the Memphis Grizzlies will be considering trades for star players Mike Conley and Marc Gasol ahead of the February 7th trade deadline. The point guard and the center have long been the focal point of the team, playing far more games together than any other active pair in the NBA, and the pairing has worked to mild success. To be a mid-market team, they have reached the playoffs quite a few times. They’ve never really gotten over the first hump, though, on the way to being a contender, so this shouldn’t be the biggest surprise we’ve ever heard. Especially when you factor in that they are 19-28 on the season after losing nine of their last ten ball games. That total just isn’t good enough, and it makes them next-to-bottom in the Western Conference, which is already the tougher of the two. Both players could be key pieces for someone looking to make a run, so it will be very interesting to see where they land. 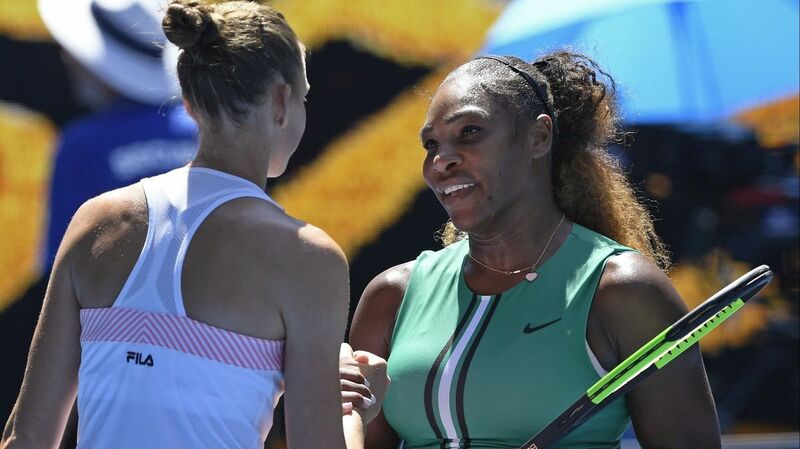 Serena Williams’ run in the Australian Open ended on Tuesday in the quarterfinals after a very rare personal collapse. Williams was up 5-1 in the third and final set, and she looked poised to ease into the semi-finals. However, Karolina Pliskova had other ideas in mind. She would battle back, breaking Williams each time on the way to a nearly miraculous 7-5 win in the set that saw her advance. Williams said that Pliskova played the best possible match that she could and that the Czech deserved the win. She also stated that she didn’t ‘choke’ away the match, further showing her class to put the spotlight upon a fellow player.